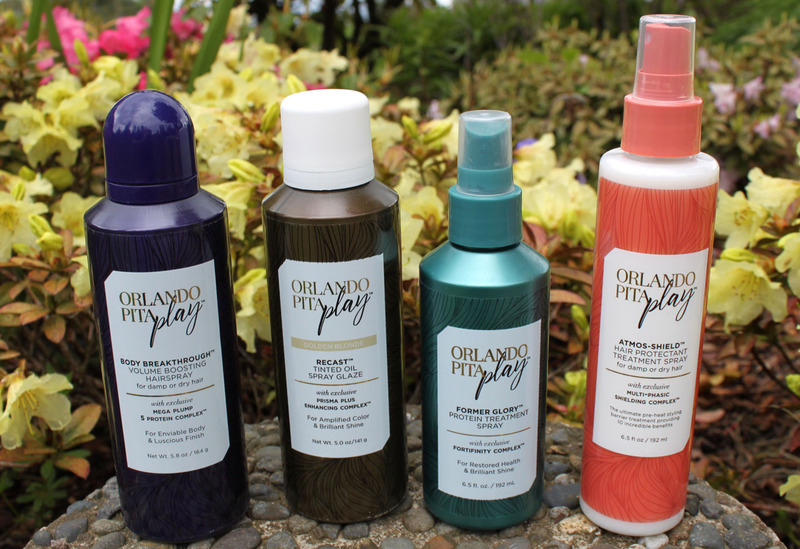 Whether you are looking for extra volume, polished hair, or enhanced color, the Orlando Pita Play Collection has a product to achieve any hair goal. Taking better care of my hair and trying to become better at styling is a constant "goal" of mine. The latter I likely never will accomplish, but having fine, color treated hair I need all the help I can get in keeping my hair healthy and styled. 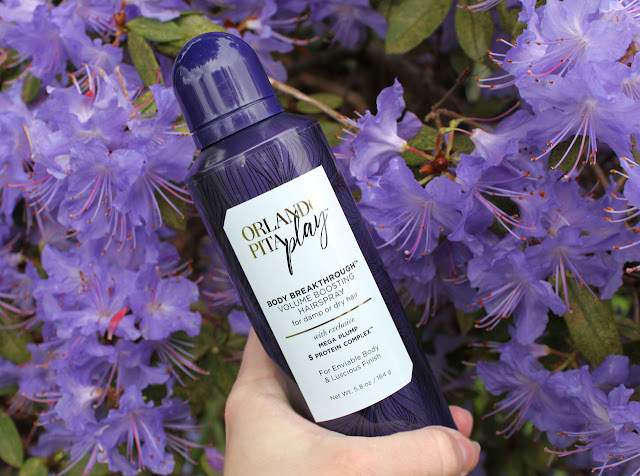 I have added some products from the Orlando Pita Play haircare line in to my daily hair do' regimen and here is how I am getting along with them! 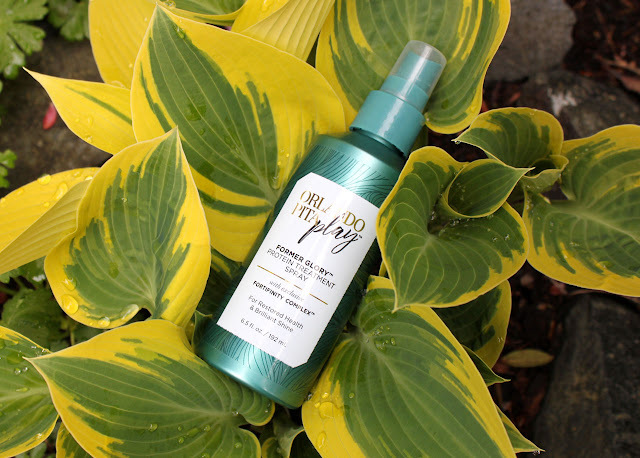 Atmos-Shield® is a 10-in-1 thermal heat protection spray that provides an invisible weightless barrier to help combat damage caused by heat, UV rays, humidity, pollution and free radicals. Featuring an exclusive Multi-Phasic Shielding Complex® this formula helps protect hair, seal split ends and lock in moisture for touchable, softer and smoother looking hair. I use a heat protectant every time I wash my hair because I always heat style. This one is really nice and it smells good! It protects against heat up to 450 degrees while also providing extra benefits. Reducing hair frizz, protecting color, healing split ends, and enhancing manageability for smooth and soft hair. My hair feels great when I use this and I feel good that I am protecting my hair from environmental damage. Orlando Pita Play Body Breakthrough Volume Boosting Hairspray delivers increased texture and fullness to even fine, limp hair. Lightweight plumping technology doesn't weigh down hair or leave strands feeling dry, crunchy or sticky. This hairspray gives my fine hair the oomph I'm looking for while setting any style. My only complaint is that it is a bit heavy on the floral musk fragrance. Recast Tinted Oil Spray Glaze refreshes color with temporary copper pigments that intensifies and enhances red and copper tones. The sheer, illuminating finish highlight hair and adds subtle dimension with no crunchy feel or residue. 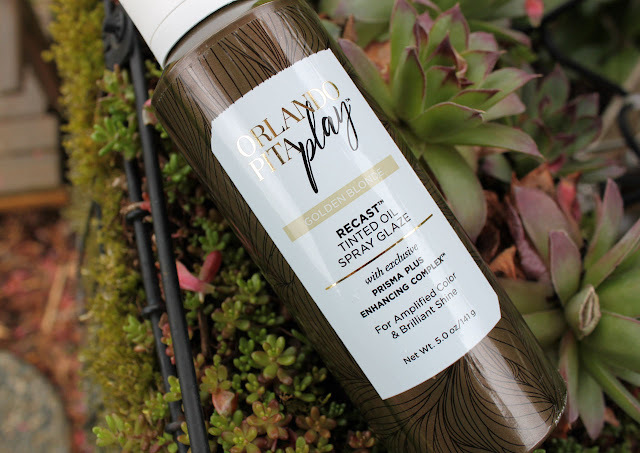 I shared how Recast Tinted Oil Spray Glaze is my must-have blonde hair finshing spray. Check it out HERE! Former Glory Protein Treatment Spray helps restore health to damaged hair. 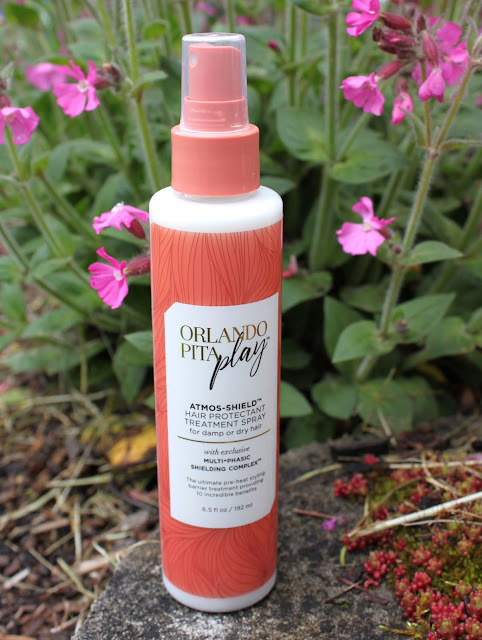 Featuring a blend of Proteins and Amino Acids to restore and fortify hair, this product resists the effects of damage caused by heat and over styling. Vital nutrients revive hair back to optimal visual health. Developed for chemically or color treated hair. Restores dry, damaged areas; Prevents damage; Adds immediate strength. Formulated with Orlando Pita Play's exclusive Fortifinity Complex for restored health and brilliant shine. 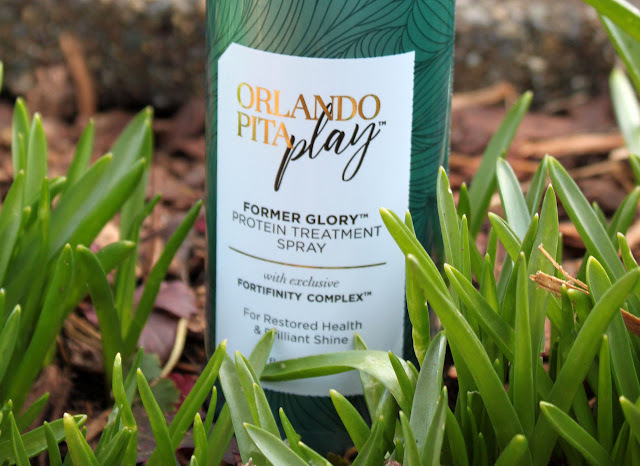 Orlando Pita Play exclusive Fortifinity Complex works to combat the 4 most common types of damage: chemical, thermal, mechanical and environmental. My hair feels stronger, thicker, and healthier since I started using Former Glory. My hairdresser said to always balance Protein with Moisture, so I use this spray in the shower 1-2x a week and a deep conditioner the day after. If you have color-treated hair prone to breakage this is a miracle worker!